It will be the third purchase. There is no problem with the processing accuracy or effectiveness of the product. It seems that consumption is quicker than pure goods, but I think that it is enough because the price is cheap. This review is about item#3410462. I was able to exchange for myself for the first time. We can use without problem, and price was cheap and is satisfactory. This review is about item#03407897. It becomes repeat purchase. No problem at all. Machining accuracy is high, and pad pin error and pad thickness error are also within tolerance. You can get the same clearance as with a new rotor + new pad. (If it is an inappropriate product, clearance may not be obtained under the above conditions) There is no noise, no peeling, etc. because proper installation is possible. If regular cleaning is done, uneven wear will not occur. it's recommended. This review is about item#3409683. This review is about item#3411948. Used as a replacement for BMW F650 Funduro's original brake (made by Brembo). No problem at all. This review is about item#3410112. 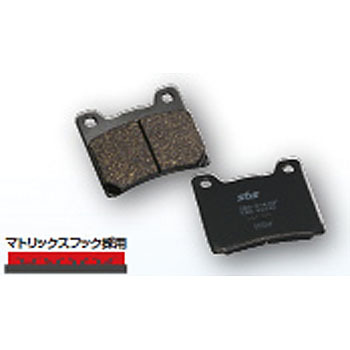 Brake pads of good reputation are easy to order on the net and are saved. It is not inferior to genuine. I purchased this at the time of the product number, but the photograph probably became uneasy with the thing of the rear wheel pad and canceled it. (Cancellation correspondence was quick.) Please check if the photos match, if you are wrong, I would like to change. It was a shame because it was a wanted item. Also, if I wrote something like front for explanation, I could ignore the picture, so I felt that I wanted more detailed explanation. This review is about item#3410733. I used it for Honda tact (AF 51). I can use it without problems. This review is about item#3407897. I thought it was time to prepare, but I plan to exchange it after waiting a little more. There is no inferiority to genuine appearance. This review is about item#3409114. Eating is better than the genuine pad and it is very satisfying with a good feel! This review is about item#3410347.